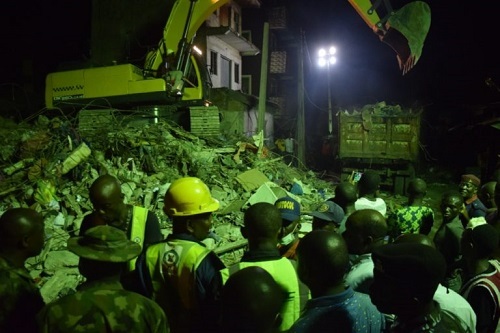 General Manager of Lagos State Emergency Management Agency, Mr. Adeshina Tiamiyu, has said there is no casualty left under the debris of the collapsed building on No. 63 Massey Street, Ita-Faaji area of Lagos Island. Tiamiyu, who spoke with newsmen at the site of the incident on Thursday morning, confirmed that all casualty trapped in the collapsed building have all been rescued. He, however, said LASEMA cannot confirm the total figure of casualty rescued from the building, saying the ministry of health would release the accurate figure later in the day.